It’s safe to say that St. Luke School faculty, staff and students embrace technology. Whether it’s use of the SmartBoard for a Kindergarten Math lesson or the use of iPads by students in second grade for iMovie book reports, technology is an integral component of our curriculum. Several members of our faculty participated in a Bring Your Own Device (or “BYOD”) pilot during the 2013-2014 school year. That pilot was later expanded and the BYOD program continues school-wide. Why personal devices? This allows the students to participate in lessons enhanced with technology and for that technology to become integrated in to their learning both at school and at home. All Internet access is through the school WiFi filtered network only. Students without personal devices are given access to a school owned device or allowed to look on with another student. Safety on the Internet: CyberSafety is a key component of our emphasis on digital citizenship. Lessons are provided to the students which will transfer to student use of technology even when not at school. 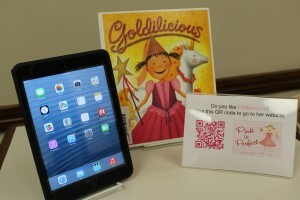 Approved devices allowed include laptops, net books, iPads, other tablets, iPods, and eReaders. Chromebooks are required for all Middle School students. The school recommends iOS devices for other grades, and encourages iPads or iPad minis to parents purchasing a device. All Lower School students have access to school owned devices if they do not have a personal device. If you have an older model iPhone or iPad, you can allow your child to use it on our WiFi without a data plan. The school also accepts donations of older model iPhones and iPads that can be added to the inventory of school owned devices available for student use on campus. This is an exciting time as we encourage our 21st century digital learners to use mobile devices in the classroom. The school’s Technology Code of Conduct exists to ensure that families understand the expectations the school has for it’s students regarding technology use. Please refer to the Acceptable Use Policy for more information on the school’s technology-related policies.